Japan is prone to earthquakes, tsunamis, typhoons, landslides and volcanic eruptions, all of which have taken lives. 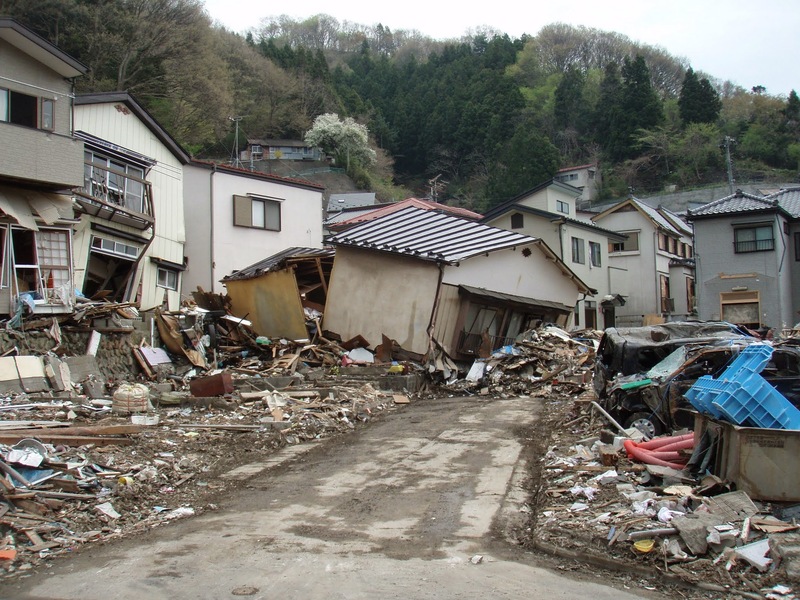 Despite being well prepared for the majority of the 1,500 earthquakes which strike each year, serious incidents such as the 2011 Tohoku disaster and the recent landslides in Hiroshima can still cause devastation. Praise the Lord for Christian charities and churches, many of which have responded rapidly and effectively to the material and spiritual needs which arise from each of these events. Pray that all Christians in Japan will show Christlike love in times of need and have wisdom in knowing how best to provide support. 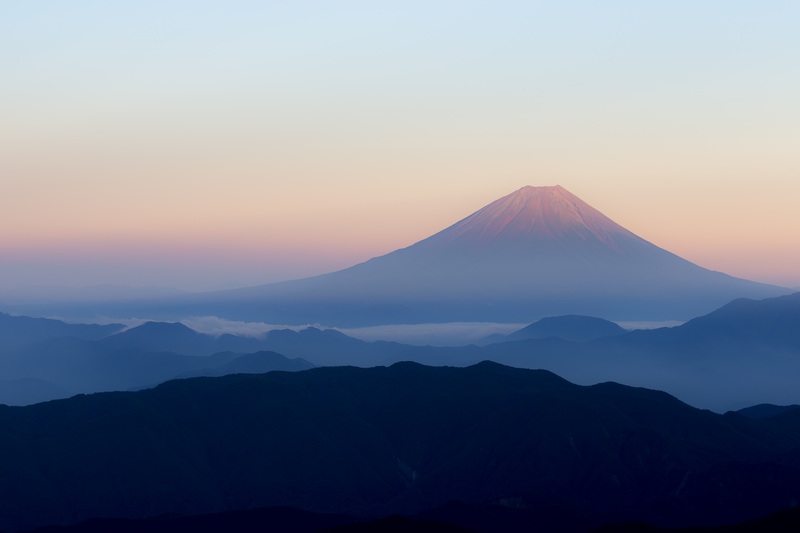 Pray that this will lead the Japanese to Christ and that, through a relationship with him, they will find peace despite the trauma of natural disasters. 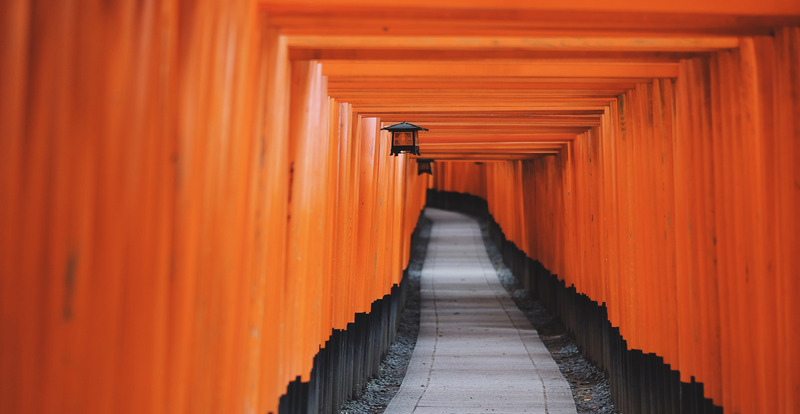 Many Japanese come to faith while living abroad, having a greater openness to new things when unconstrained by the norms and expectations of Japan. Praise God for all such new believers and pray that this will continue to be true through the influence of the Christians whom Japanese expats meet. Praise God for Japanese Christians taking the gospel back to Japan following their overseas conversions, but also pray for their protection. Returning Japanese new Christians are vulnerable to not only the stress of reverse culture shock, but also to difficulties finding good Christian fellowship and to opposition from friends, families and neighbourhoods more protective of Japanese traditions. Praise God and pray for all organisations set up to support these 'returnees'. Pray that the threat of crisis will lead to positive transformation in the Christian community Japan. Around 75% of local churches average fewer than 30 attendees. Declining congregations and a major shortage of recognised church leaders is forecast, reflecting the ageing population and the scarcity of both new converts and emerging leaders. Ask that church gatherings be transformed from those with western feel and traditions to become more authentically Japanese, more modern and more welcoming. Pray that many potential leaders will be developed and entrusted with responsibility in gospel ministry; that rigid denominational barriers and other hindrances will weaken, allowing for cooperation and shared resources; and that the Lord would inspire among believers the love for one another that he calls for in his new commandment (John 13:34-35). A number of Japanese schools and universities were founded by Christians and still operate with a nominal Christian ethos. Although few staff at such institutions have been committed Christian believers in recent times, it often transpires that adult Japanese who become believers attended a Christian-heritage establishment in their youth. Exposure to biblical narratives can prepare young people to understand the gospel more readily when they later encounter it and also leave them less resistant to the idea of choosing to follow Christ. Pray that more Christians would aspire to positions on the teaching staff and management of Christian-heritage establishments and enhance the opportunity they present for sowing the seed of the gospel in the hearts of young people. Writing on the lack of men in churches, the last edition of Operation World states that 'on average, women attendees outnumber men seven to one'. Working hours and exhaustion are factors at play, as is the self-reinforcing perception that church is mainly a place for women. Then there is the fear of what identifying as a Christian might mean for one's career. Ask the Lord to remove all the obstacles that keep men in particular from professing faith in the Lord Jesus, and from going on to follow him wholeheartedly. Pray that many good role models of men who are seriously following Christ would emerge across Japanese society; such as in the fields of business or education, blue collar or manual work, arts or healthcare. Japanese people often struggle to satisfy the high expectations of those around them in the workplace, sometimes to the point of sickness. Pray they will discover unconditional acceptance in Jesus. It’s not uncommon to work 12 hours before being expected to socialise with colleagues very late into the night. Male company workers especially have very little time for their families or for others. Pray this work ethic will relax and that God will meet company workers, whether at or away from work. Praise the Lord that there are a few Christians in the workplace. Pray they will find time to spend with him, in fellowship with other believers and will point their colleagues to the Lord. 'Hikikomori are those who shut themselves off from society, reclusive in their rooms, sometimes for years. This acute social withdrawal is a particularly Japanese phenomenon possibly affecting 1% of the population. Similar numbers could be on the verge of hikikomori, meaning well over 2 million people are affected or at high risk. Causes are unclear but individuals with a strong sense of self and independent thinking can feel out of place in Japan’s group-oriented and fixed-expectation society. Please pray that more Christians would want to help sufferers and their families discover their true identity and acceptance in Christ. Pray for those hikikomori who will prove gifted in leading the advance of the gospel will be led to faith in Christ and want to live for Him. 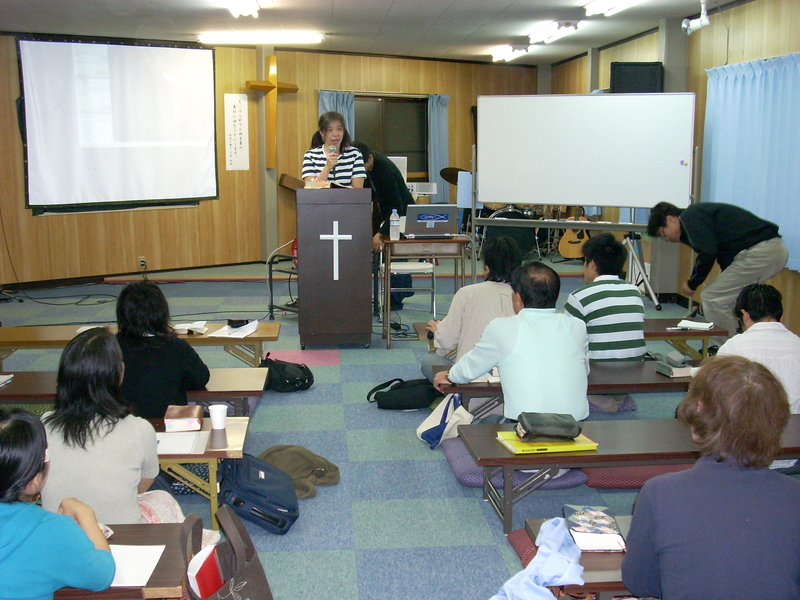 In Japan there is a need for effective training for Christians, whether formally in Bible College or through other more flexible or less formal training. Pray that those with suitable leadership and teaching gifts would have courage to come forward for training and pray that effective programs for them would emerge. We do thank the Lord for a number of new training initiatives in recent years. Ultimately, pray that a growing body of young men and women disciples of Jesus will influence all corners of Japanese society for him and that these are equipped through the new Tokyo-based ‘Samurai’ project. Pray that all Japanese believers would find the encouragement, training and support they need in order to use their gifts in the Lord's service for his glory. There is a need for effective training for Christians, whether formally in Bible College or through other more flexible or less formal training. Pray that those with appropriate leadership and teaching gifts would have courage to come forward for training and pray that effective programs for them would emerge. Thank the lord for a number of new training initiatives in recent years. Pray that the new Tokyo-based ‘Samurai’ project will be really effective in producing a steady stream of young men and women disciples of Jesus who will influence all corners of Japanese society for him. Pray that all Japanese believers would find the encouragement, training and equipping they need in order to use their gifts in the Lord's service for his glory. 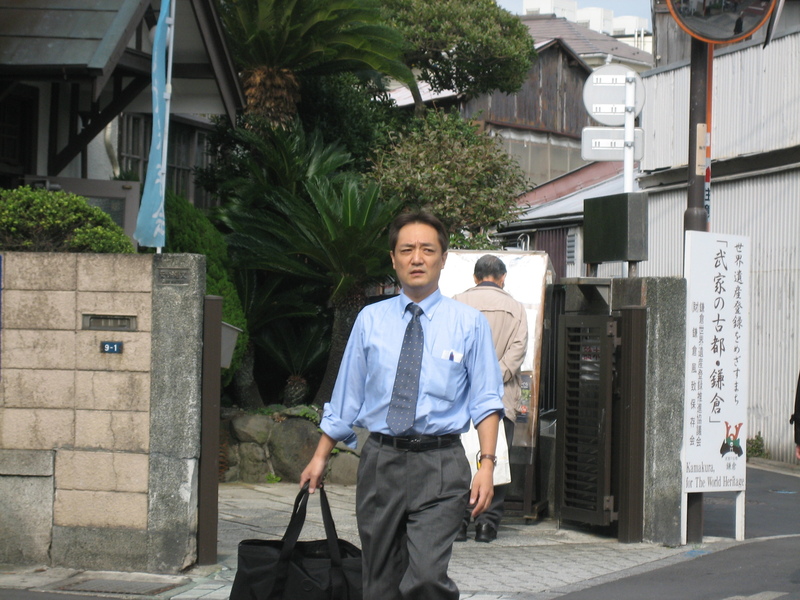 Working hours and the all-encompassing nature of Japanese corporate life present a challenge to bringing the gospel to working people in Japan. Often social lives, as well as working lives, revolve around the company, with many employees living in company housing and mixing with few outside the company. Ask God to open up ways to reach working people with the gospel. Pray that God would raise up godly Christians in the workplace who will improve perceptions of Christianity among professionals. Pray too that Christians in Japanese companies will increasingly be moved to pray for their colleagues and will be emboldened by the Holy Spirit to share the good news of Jesus with them. Many Japanese Christians have non-Christian spouses. Pray that they would remain true to their faith and that God would also give them a strong desire for the salvation of their spouse. Pray that churches would be more aware of this challenge and would find good ways to support people in this situation, seeing the great opportunity to reach husbands and wives through their Christian spouse. Many Japanese Christians are the only believer in their family. Non-Christian husbands often have no time at all to be able to interact with Christians or go to church. Parents are often strongly opposed to their children ‘becoming non-Japanese’ (Christians) and fear for their own well-being after death if their offspring won’t take care of their deceased spirits. Ask God to break down these barriers to the gospel within the family environment. Pray for strengthening and patience for lone believers to stay close to God. Pray for God’s protection on Christian families to stay strong, united and able to resist temptations and attacks that would seek to undermine or divide the family. Pray for significant growth of God’s family, the Church, to occur through the salvation of earthly family members. Proportionately many more Japanese become Christians outside Japan than in Japan, due partly to the many more opportunities to meet Christians. There is also a far greater openness to new ideas when away from the home culture, which is largely conformist. Pray that in this openness God would direct the steps of many Japanese into life-changing relationships with Christians. Pray that those who start a new journey of faith following Jesus overseas would be built-up on a strong foundation, that their faith would continue to grow after returning home, and that they would have significant impact for the gospel there. Pray too that God will call and send out Japanese Christians to other parts of the world to spread the good news in other places. Praise God that he works constantly, in the quiet, preparing hearts to receive the truth of the gospel. Pray that he will send many workers into the ready harvest field of Japan, both from inside and outside Japan. Pray that God will raise up many young leaders within the Japanese church, that they will be people filled with confidence in their identity in Christ, passion to live a life that glorifies Christ and conviction in the life-transforming power of God’s Word and his Holy Spirit. Pray that many more Japanese Christians will be equipped, encouraged and emboldened to share their faith openly with family members, co-workers and friends who are not yet believers. Large swathes of the Japanese countryside have no church presence and, compared with the cities, there seems to be a much greater and deeper adherence to Shinto and Buddhist traditions and superstitions. Ask the Lord to send more workers into this harvest - missionaries, Japanese Christians and church planters. Rural churches can be quite small and isolated, so please pray for rich refreshment and joy for these believers in their fellowship together and daily walk with the Lord. Pray that opportunities for networking and mutual support between rural churches will increase. Pray especially that, through sharing of the gospel, the hidden chains which bind people will be broken. Give thanks for the faithfulness, integrity and perseverance of pastors and churches in Japan where church growth is often slow. Ask God to encourage pastors and equip believers in being godly, radical, influential followers of Jesus wherever they go. Praise God for churches that are thriving as they equip believers for ministry and reach out effectively with the gospel. Pray for many new churches, house churches, cell groups and innovative ministries to begin this year, and for them to be characterised by God-centred, Bible-based discipleship and mission. Pray that many of the Japanese who live overseas will have their eyes opened to the truth of the gospel during 2014 and that they will put their trust in Jesus. Ask that those new believers who return to Japan this year will do so with eagerness and boldness to serve and to witness. Pray for them to be strengthened and encouraged amidst the potential challenges of settling back into a culture and mind-set that will often be very different to what they have experienced overseas. Please pray that Japanese pastors and Christians will embrace these returnees, endeavour to understand and support them, and equip them to flourish and bless the churches, communities and workplaces they inhabit. The Japanese language is highly complex, with layers of nuance and meaning, thousands of written characters and various honorific forms corresponding to different levels of politeness. The indirect nature of the language often involves ambiguity in order to avoid causing offence, but conflict can arise through misunderstanding or lack of communication. Pray for Japanese Christians to communicate openly and with grace and understanding, both to build each other up and as a powerful witness to the people around them. Pray for missionaries to persevere with learning the language and to be effective in communicating the love of God through both word and deed. Thank God for the churches who provide English classes for Japanese who want to learn English, and pray for more opportunities for this. The two main Japanese religions are often held together, with an emphasis on tradition, ritual and superstition. Shinto, indigenous to Japan, is mostly concerned with 'beginnings' (e.g. births, new job, weddings). Buddhism is associated more with 'endings' (especially funerals). Prayers and offerings made both to ancestral and local spirits are commonplace in the home and in the many shrines and temples. Praise God that he is the true King over all false gods. Pray for the light of the gospel in Japan to expose and overcome darkness, and that Japanese will recognise the true God and gladly turn to him. Pray that whole families will come to faith, especially where lone believers face opposition when they cease participating in family rituals. The pursuit of comfort and security in work, reputation, wealth or possessions is the day-to-day religion of many Japanese, especially in urban areas. Yet there is also much fear for the future with long-term economic problems, ongoing concern over the effects of nuclear radiation and the possibility of more big earthquakes. Pray that materialism’s emptiness will become apparent and many will seek true meaning. Pray that churches will equip believers to be bold witnesses in the workplace living in the light of eternity. Pray that the glorious riches available in Christ will be of greater desirability to those who don't yet know him and that those governed by fear will be driven to seek the truth of the gospel and experience God's perfect love which drives out all fear. An uncertain future lies ahead for Japan's youth. Some study as hard as their parents before them, in part under the burden of expectation for them to succeed. Others are more sceptical, not seeing the point. Many disenchanted young people are weary of the status quo and desire change, even if the response of some is to drop out of society. Thank God for an unprecedented level of openness and questioning of tradition among the younger generation, and pray that this will lead to significant interest in and response to the gospel. Pray for churches to be outward-looking and creative in exploring how to connect with young people, meeting them where they are. Pray that the gospel will be demonstrated, communicated and experienced as a dynamic, relevant power for real change. Despite gradual change, working hours and the all-encompassing nature of Japanese corporate life continue to be a great challenge to reaching working people in Japan. Often social lives, as well as working lives, revolve around the company, with employees even living in company housing and knowing few people outside the company. Pray therefore for God to open up ways to reach these people with the gospel. Pray especially for Christians in Japanese companies, that they would be bold in identifying with Christ and speaking of him. Ask that God would raise up good role models for working people who would improve perceptions of Christianity among professionals. Pray for the VIP Club network, whose aim is to reach Japanese working people and who hold regular meetings throughout Japan and overseas, including in London. A high proportion of Japanese who become Christians, especially younger people and students, do so whilst overseas in countries such as the UK. 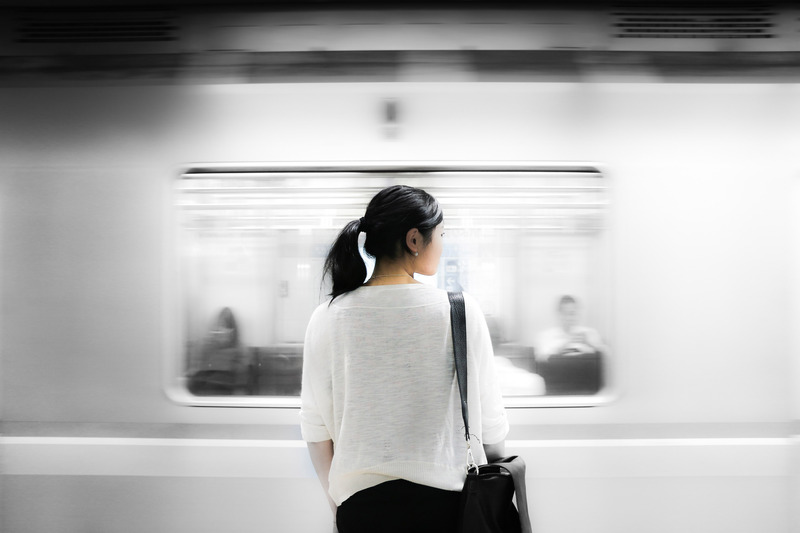 Ask God to lead those working to reach overseas Japanese to many who are seeking hope and answers. Most Japanese new believers find it difficult to settle into a church when they return home as church culture in Japan is very different from what they experienced abroad. Pray that each one returning to Japan this year would be led to good Christian fellowship and to people who will help them grow as Christ’s disciples. Ask too that Japanese churches would recognise returning new believers as a blessing and welcome them freely. Pray for those living in rural areas in Japan. These regions retain greater adherence to Shinto and Buddhist traditions and local temples can have considerable influence in the community. There are fewer churches here than in the cities and those there are can be very small. The population is increasingly elderly as young people move away to find work. Pray for Christians in these areas, that they would find good ways to interact with the community and would actively seek to encourage one another. The Japanese are the world’s second largest unreached people group according to the newest edition of the prayer handbook Operation World, released this autumn. “Ask the Lord of the harvest, therefore, to send out workers into his harvest field.” (Matthew 9:38) Ask the Lord to lead more mission-minded Christians into contact with Japanese people, whether in Japan or overseas (where Japanese people are often much more open to the gospel) and whether as traditional missionaries, or through secular jobs. Mid-August is the O-Bon holiday season in Japan when many Japanese return to their family homes and take part in ceremonies to remember their ancestors, whose spirits are said to return to the world at this time. Please pray for Christians and churches as they seek ways to honour the memory of the dead without compromising their faith. Pray too that during what is for many a rare break from work, Japanese people will be provoked to think more deeply about life and death and that they will want to know the truth about life after death. Pray for outreach to workers in large cities such as Tokyo, Osaka and Nagoya. Reaching working people is a particular challenge as the long hours rule out evening events and leave little energy for events at weekends. Some churches in places like Tokyo are starting to think of innovative ways to reach them, including whether it might be possible to run lunchtime events at companies. Pray for them as they do this, for good responses from companies, and for more churches to actively go out to people in the workplace rather than waiting for them to come to church. The New Year holiday is the main holiday of the year in Japan. It is a time when families gather and often involves visiting a Shinto shrine to pray for good fortune in the coming year. Pray for Christians with non-Christian family members as they work out how to respond to the religious focus of many New Year activities without alienating their family or friends. Pray that non-Christians will reflect on life during this time of rest, that churches will be creative in reaching out to people during the New Year period and that seeds sown would bear fruit as the year unfolds.